I'm in the art studio doing some research of a dog portrait. 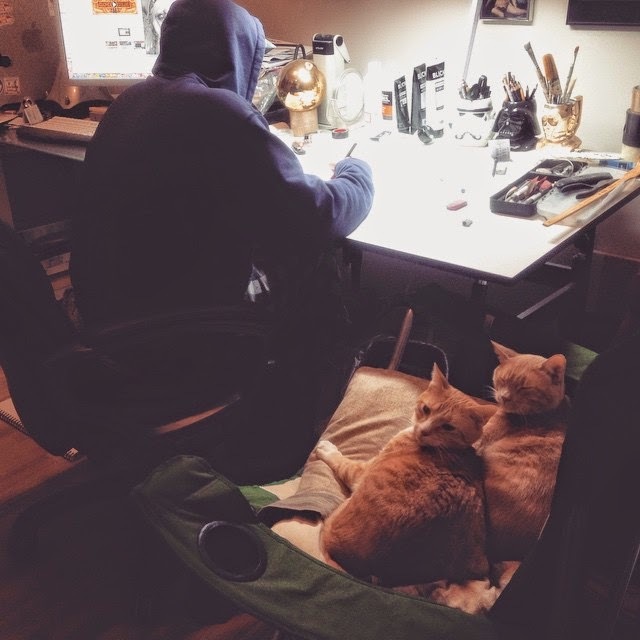 And there's Frankie being all up in my business as usual when I'm in the studio doing art stuff. It's on! 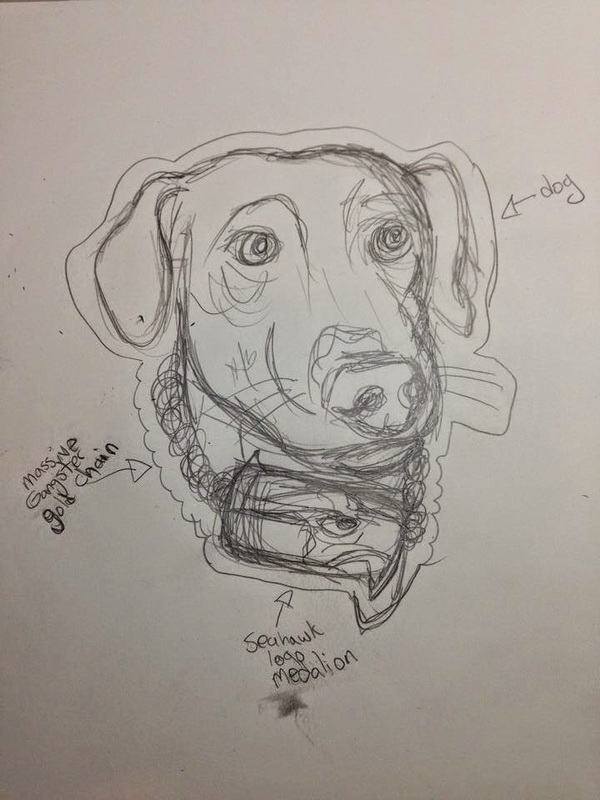 A new dog portrait is sketched out. It's a start. This dog portrait may be visually not all put together, but I can see it all finished in my head. The Seahawks may have made a costly end of the game play, but a true fan sticks to their team. This dog is sure to represent, too! 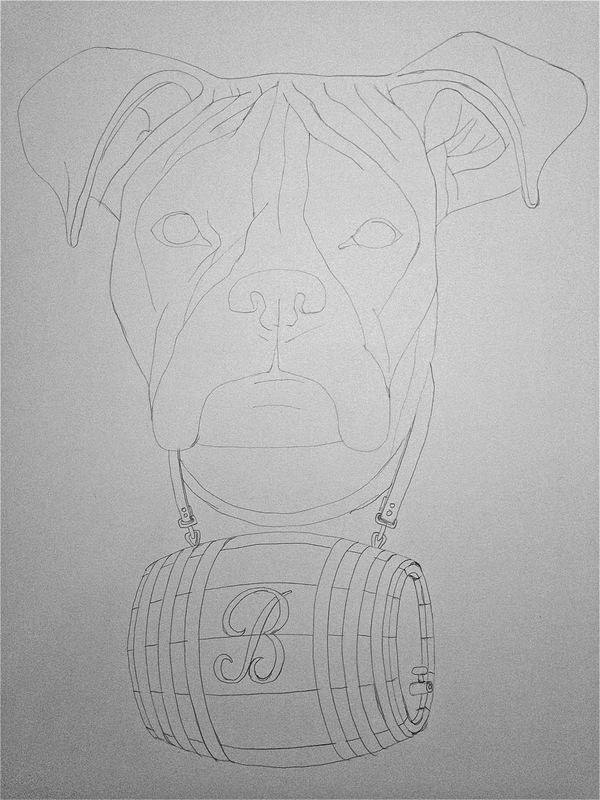 New dog portrait in the works. A dog doesn't need to be a St. Bernard to deliver bourbon! 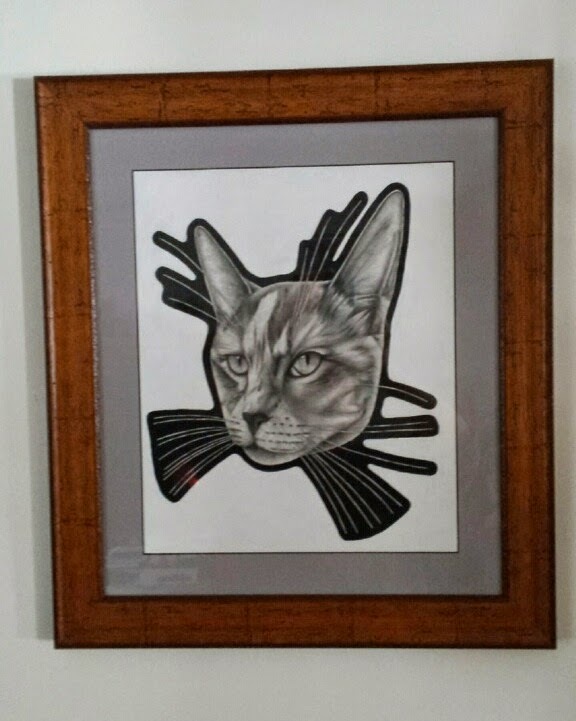 It's nice to see my cat portraits framed and hung! 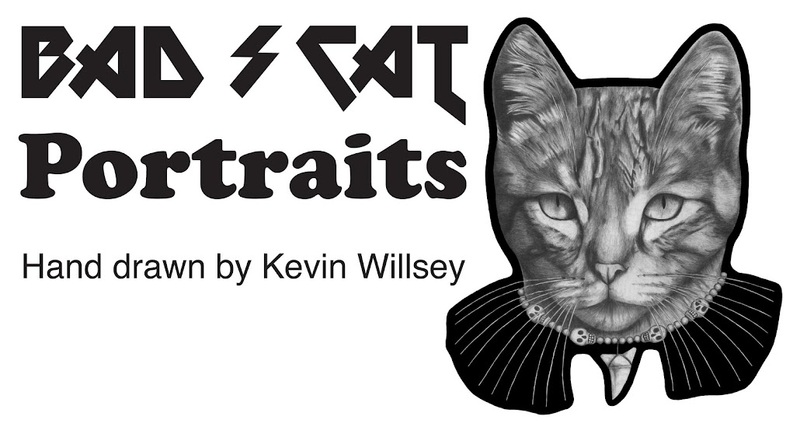 This cat portrait is of Nancy in upstate New York. I've met this cat a few times. She is a very soft, loving cat. Frankie loves to get up in my space. 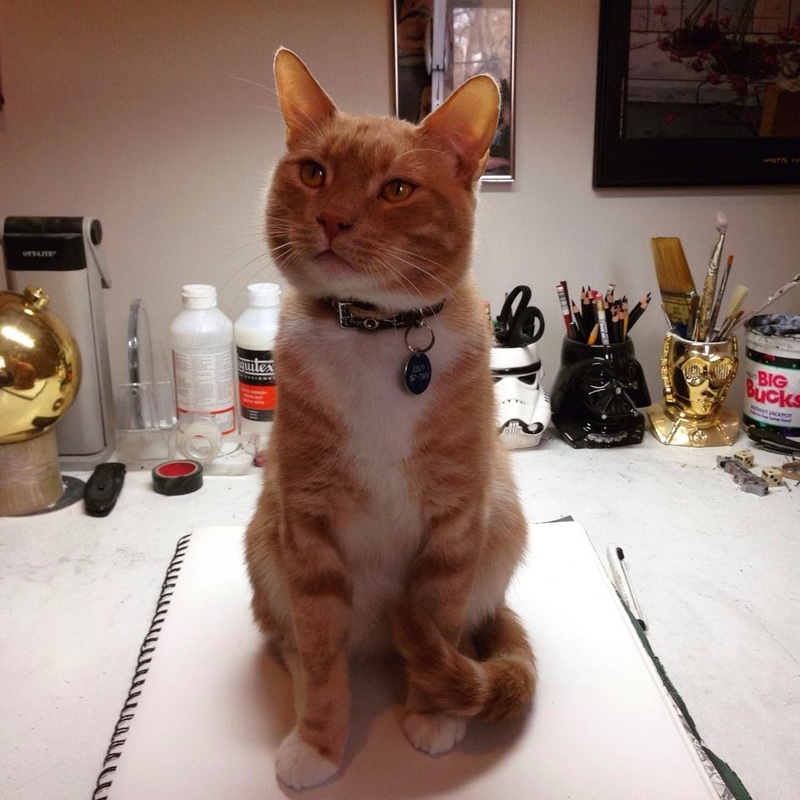 I guess this pet portrait drawing will have to be put on hold. 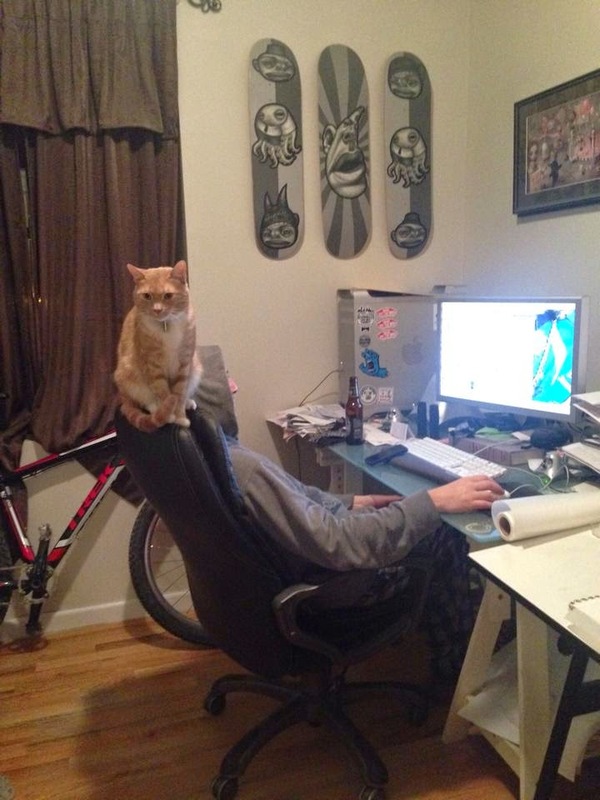 Move it, cat!